As you guys are fully aware, I’m a big fan of the Nest Learning Thermostat. In fact, I reviewed it randomly back in April and am still fully engulfed in all things Nest to this day. It continues to be my favorite Android accessory, as it allows me to save money (though I’m not sure how much just yet) on heating bills while also giving me the ability to remotely control the temperature of my house from anywhere in the world (including the couch or on a cold Saturday morning in bed). It’s also not bad looking. Actually, it’s an incredibly well-designed piece of home technology. I can’t recommend it enough. 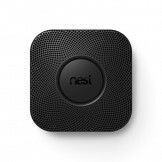 So today, the folks at Nest announced their newest product called Nest Protect. Nest Protect is their take on a smoke alarm and carbon monoxide monitor that looks as pretty as their thermostat and can be controlled via Android (or iOS) app, yet introduces a new take on how your home should be protected. 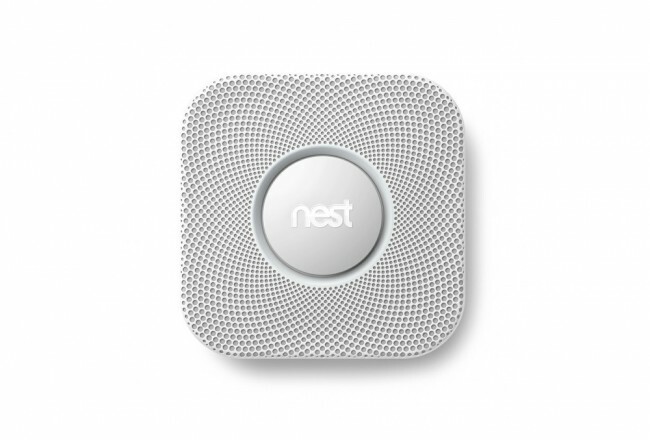 Most importantly, the Nest Protect is a multi-criteria detector with heat, CO, and smoke sensors, (photoelectric smoke sensor, CO sensor, heat sensor, light sensor, ultrasonic sensors and activity sensor to be exact) so you aren’t getting a low-end detector here. But where it takes home protection out of the box is how it alarms you. Rather than chirping with low batteries or falsely activating at 4AM on a Tuesday night, it notifies you via app or with a subtle early warning of potential danger. 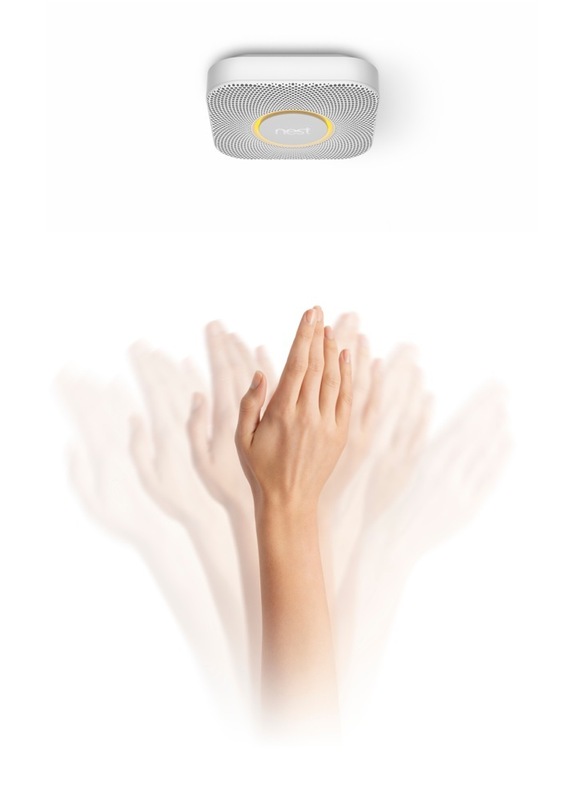 Should an alarm actually sound off, you can silence it with a simple wave of your hand in front of it. That means no more opening of windows and running wild through your house with towels while the headache from the smoke alarm only grows deeper. It can act as a night light, by activating a gentle light as you walk underneath it. 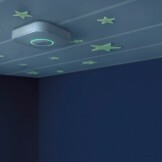 You’ll see a green glow as you turn out the lights to let you know that your batteries will last you through the night or red in case you need to change it for more peaceful sleep. 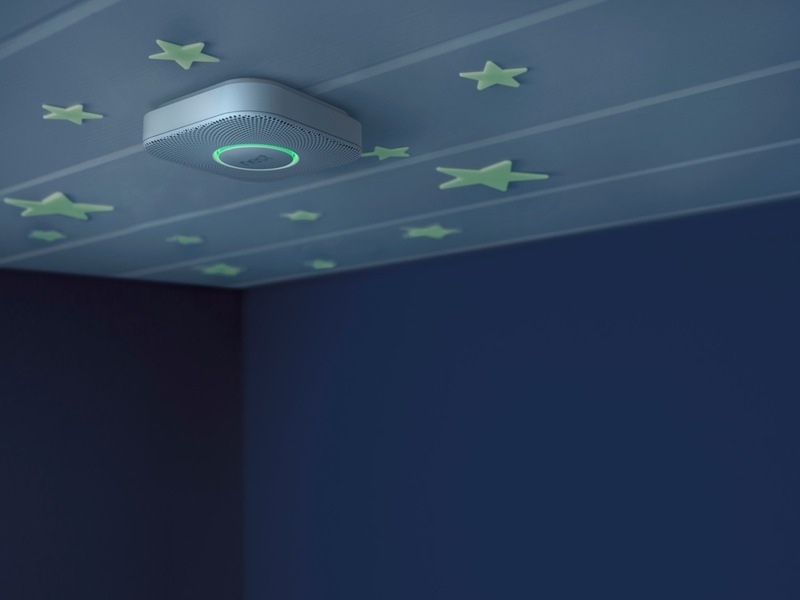 You can even set it to use vocal alarms, since kids have been known to sleep through beeping alarms. 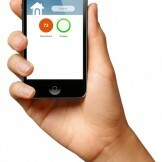 And if you already own a Nest thermostat, the new Nest Protect works perfectly with it. 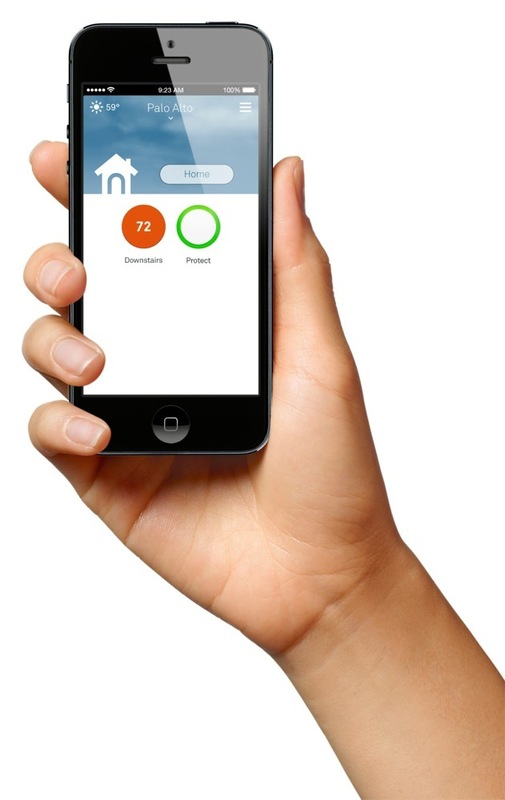 Should a carbon monoxide alarm go off, your Nest thermostat automatically turns off your gas furnace, as they tend to be possible sources of poisonous carbon monoxide leaks. Overall, it sounds like another amazing product from Nest. With that said, each unit will run you $129, so assuming you have more than one or two rooms in your house, you may be looking at quite the substantial bill to outfit them all. 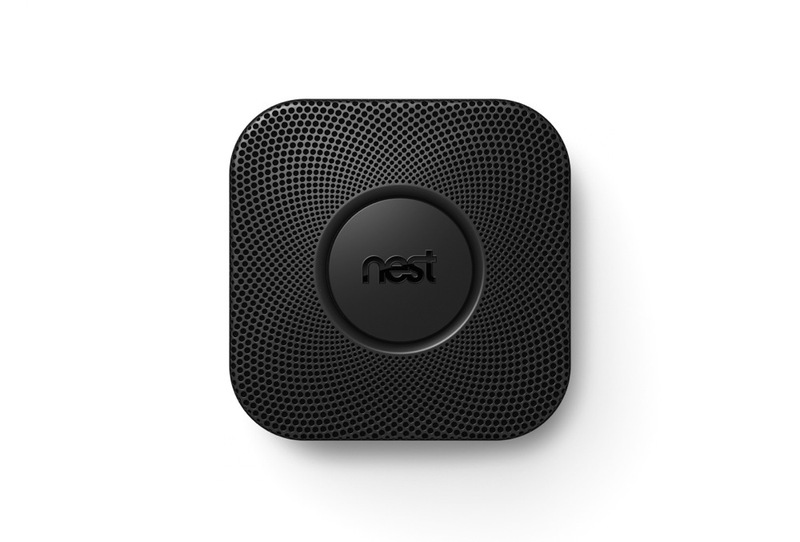 The Nest Protect will be available in November in both black and white. Nest reinvents unloved but important home products, like the thermostat and smoke alarm. The company focuses on delighting customers with simple, beautiful and thoughtful hardware, software and services. The Nest Learning Thermostat™ and Nest Energy Services offerings address home energy consumption, and Nest Protect: Smoke + Carbon Monoxide™ will help keep people safe. Nest products are sold in the U.S., U.K. and Canada, and are installed in more than 90 countries and the Nest Learning Thermostat has helped save more than 1,000,000,000 kWh of energy to date. Nest is privately funded and based in Palo Alto, Calif. For more information, visit www.nest.com.